It is that time again when a nice delivery man brings us this month's Degusta box. 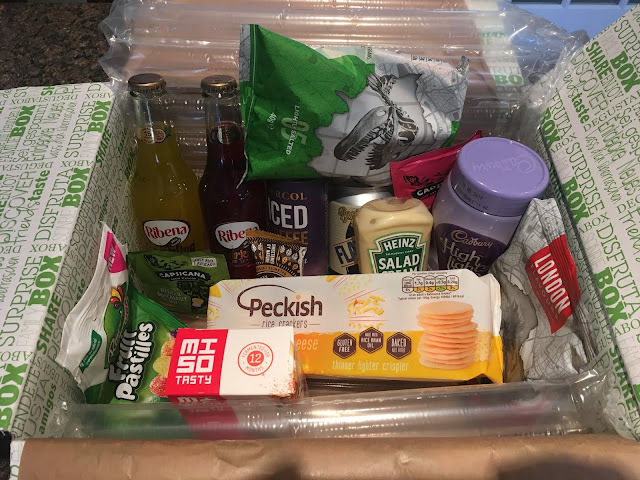 This one felt quite heavy and I was keen to see what goodies were inside. It looked quite packed and had a nice mix of drinks in there too, perfect in this hot and muggy weather. The first thing that caught my eye though were new crisps. 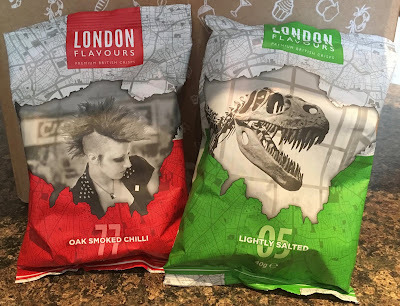 These crisps are from the brand London Flavours and isn't a make I've heard of before. 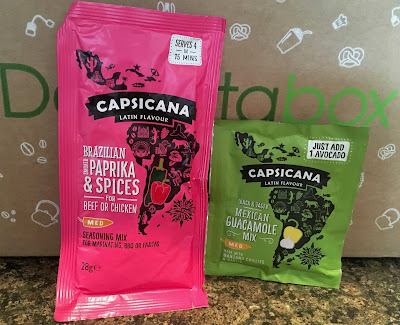 We are very much looking forward to trying out a new brand, and I have to say I'm loving their packaging. 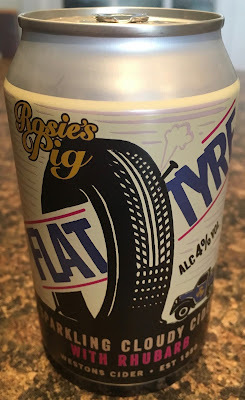 Spectre immediatley disappeared this Rosie's Rhubarb Cider when he saw it. This is from a brand he knows well, and has enjoyed in the past. It is a nice refreshing twist for the weather with the added rhubarb. 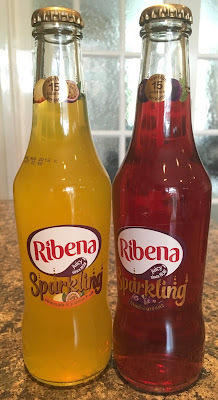 I am more into my soft drinks, so was excited to see these fizzy drinks from Ribena, which has always been a favourite brand in our household. I was pleased they were is glass bottles which are easily recycled. I love the sound of the topical one with pineapple and passion fruit. There is nothing better on a hot day than an iced coffee, so I have stashed this carton of Percol Protein Latte coffee in the fridge. It contains a boost of protein too which seems to to be the popular hipster added ingredient. Not that I have a lot of knowledge on the subject, but if you are trying to increase your protein intake a small can of tuna contains a decent amount, but doesn't work as well in glass over ice. Some people might think it is too hot for hot chocolate, but they would be wrong, I drink it throughout the year for a easy chocolate fix. I do love that this version from Cadbury High Lights is low sugar and low calories, so there is no guilt. 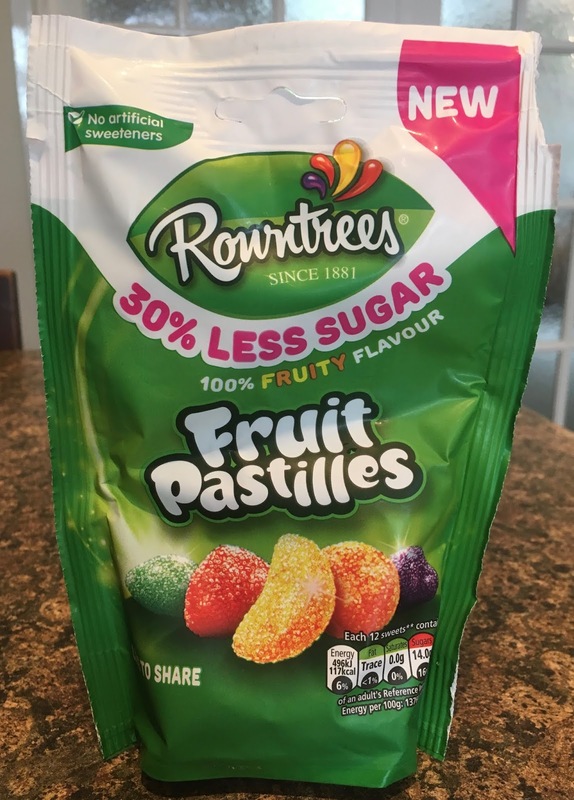 Talking of low sugar these Rowntree's Fruit Pastilles are new as they are lower in sugar, which is better for us. I'm looking forward to trying these out. There are also two mixes from Capsicana, one for Paprika and Spices for chicken, the other to mix up our own guacamole. Both of these would go together well, especially if the spiced chicken is in a wrap. 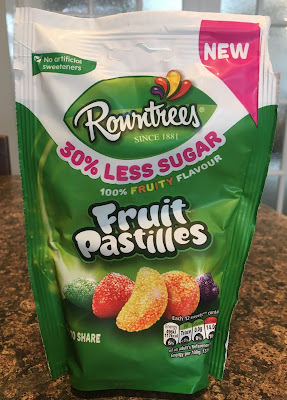 I'll be popping this next item in my lunch box for an afternoon treat. It is from the company Pulson and is a raw chocolate brownie, flavoured with the ever popular salted caramel. That should get me through the afternoon sugar craving. There are also some cheese flavoured rice crackers from Peckish, these will come in handy for afternoon snacks. We also have some sachets of Miso soup, which makes a nice accompaniment to a sandwich for lunch. 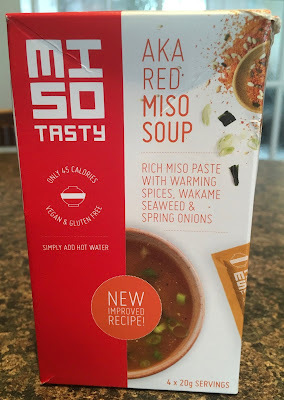 These are from Miso Tasty and are flavoured with warming spices. Last but not least we have some Heinz Salad Cream. 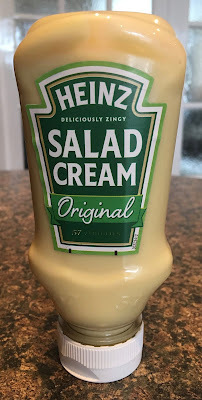 This is a staple already in our house, but especially at this time of year when we are eating more light healthy salads. Spectre also likes crisps dipped in Heinz Salad Cream but he has always been a bit odd!